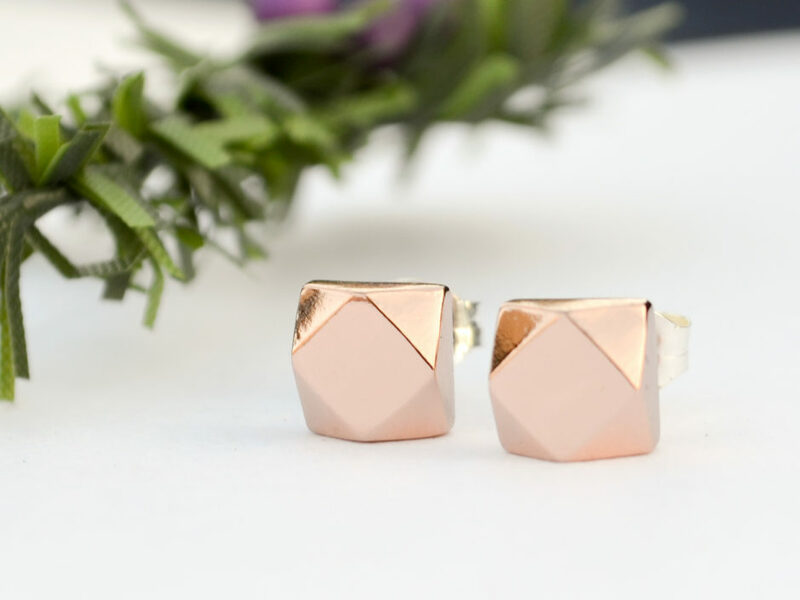 Our chunky rose gold faceted stud earrings are our most popular earrings! 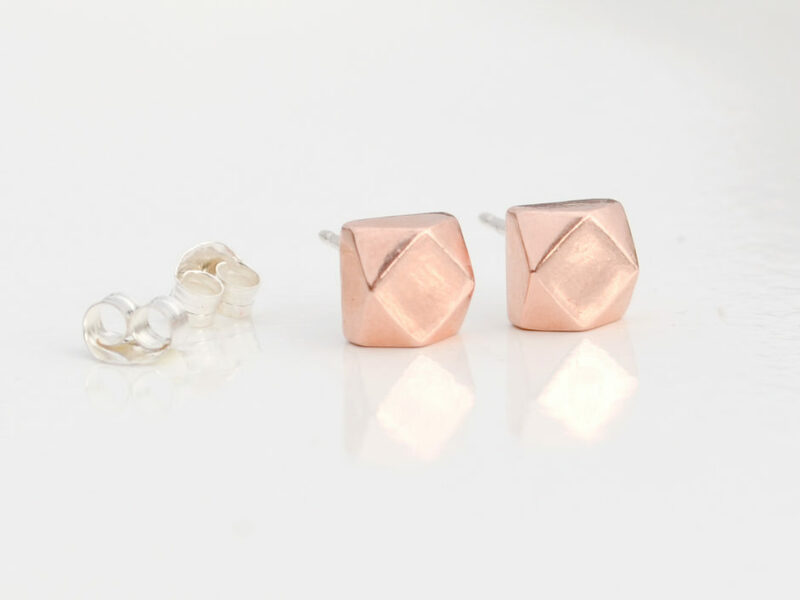 We designed these faceted studs to catch the light like gemstones. *Earrings are micron rose gold plated.